This will be my last post for a while, simply due to pressure of other commitments. Below are just a few of the instances of propaganda I recall over the past week. It’s impossible to itemise them all, of course, it would be a full time job – even if I restricted it to just those issues which I notice without any attempt at a search. On 2nd May the Guardian ran an article on a young woman student who had been attacked by a 17 year old man. A nasty business by the sound of it, and the man/youth in question certainly needs dealing with rigorously. But the prominence given to the story is reminiscent of the campaigns the Guardian often runs on PV and FGM. The victim’s picture took up half the front page, and the article itself occupied the whole of page 5. A man is murdered every day in England and Wales but extremely few cases are reported in the press. There is far too much news to report it all. The issue I am drawing attention to, of course, is that someone decides what gets reported. It is what does not get reported wherein the propaganda chiefly lies. The reason why I especially noticed this case was that on the very same day, 2nd May, a man was knifed to death in Ireland whilst saving a woman from an attack. You will search the Guardian’s web site, or the BBC News’ web site, in vain for any mention of Shane Murphy of Limerick, dead hero. 8th May was the 70th anniversary of VE day, rightly celebrated. BBC news reported that the Queen had met a “veteran” – a woman who had been in the ATS (the Auxiliary Territorial Service). Now my mother was in the ATS during WW2 and she would be utterly bemused to be described as a “veteran”. Although affiliated to the army, no ATS women (or women in any of the other services for that matter) were involved in combat. ATS women acted as orderlies, drivers, postal workers, telephonists, clerks, cooks and waitresses. Extremely few ATS women ever served abroad, perhaps about 300 or so, and not in combat roles (though a few were involved in camera-based range finding for gunnery). But it is de rigueur now to refer to our “brave men and women” whenever celebrating the heroism in WW1 or WW2. I wonder how long it will be before the majority of the public believe that these wars involved as many women soldiers as men? We are being nudged in this direction by the relentless propaganda misinformation. I am reminded of how Sky chose to celebrate the centenary of WW1 last year in the form of their so-called comedy “Chickens“. This monstrous travesty actually celebrates women’s shaming of men. It boasts about the women’s ability to cope now that all but three men have gone from their village to fight in WW1. They don’t need men, you know. But that does not stop these women piling the shaming onto the three remaining men for having the temerity to refuse to go and die for them in the trenches. Double speak and hypocrisy, anyone? This would be bad enough without the history. But the historical truth is that women’s shaming drove men into the trenches to die, at least 350,000 of whom were underage (250,000 in the army and 100,00 in the Navy). And then there’s Kate Winslet, she who notoriously implied that fathers are irrelevant in children ‘s lives. She endeared herself to the public by threatening to use her considerable wealth, and hence privilege, to sue Fathers4Justice (neither wealthy nor privileged) because they had the nerve to complain. 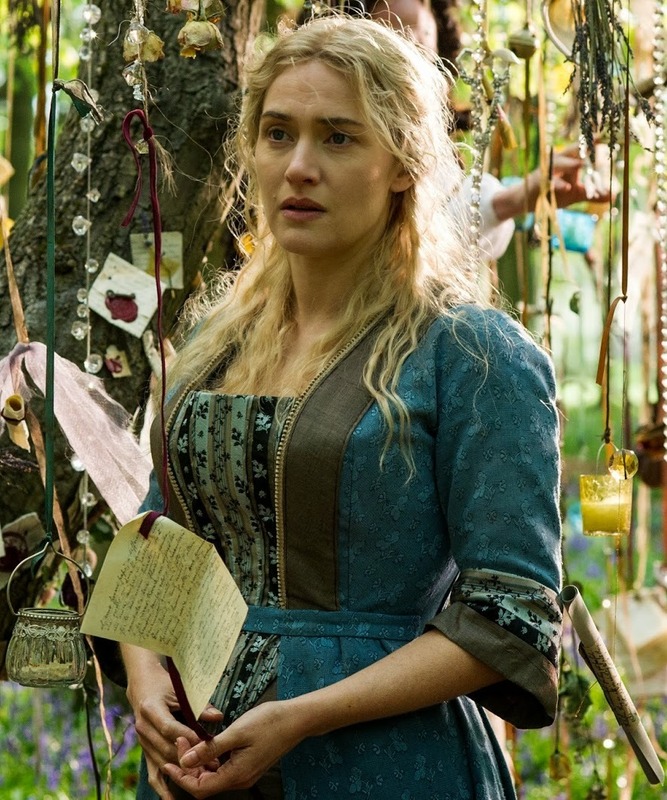 Ms Winslet’s latest blow for the sisterhood is A Little Chaos. This film is ostensibly about the creation of the gardens at Versailles. 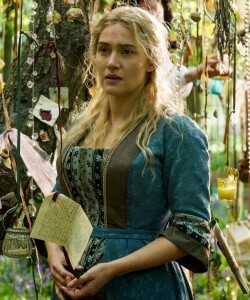 Winslet is the central character (obviously), playing one Sabine De Barra who, we are told, was responsible for the considerable achievement of envisaging, and bringing about, the sumptuous gardens during Louis XIV’s reign. It is entirely predictable stuff. De Barra is initially met with contempt by her male and female peers. The men are scathing of her abilities. The women think that she ought to be involved in more feminine vocations (presumably they are early victims of internalised misogyny). But Winslet fearlessly overcomes all obstacles to become triumphant. The story conveys, via Winslet, the obligatory strong independent woman vibe. Great feminist PR, but for one small detail. The viewer could be forgiven for assuming the story has at least some basis in truth. After all, Louis XIV, his courtiers, the building of Versailles, all these things are historically true (if naively dramatized). But no. You see, there was no person “Sabine De Barra”. She is completely fictional. But worse. The gardens at Versailles were, of course, designed by someone. In fact it took 40 years to lay the gardens, during which time four different people had a guiding hand in their envisioning and the direction of the works – all of them men. The head gardener André Le Notre was the main designer, but he was assisted by Jean-Baptiste Colbert, Superintendent of the King’s Buildings, and by Charles Le Brun, who produced the drawings for a large number of statues and fountains, and by the architect Jules Hardouin-Mansart who drew up scenic plans and built the Orangerie. There will be millions of people who, forever after seeing this film, will believe that a woman designed the gardens at Versailles. It is hardly a matter of great importance but it illustrates just how easy it is to manipulate public belief, how easy it is to re-write history. But only in one direction. Imagine the outcry if the achievement of some woman of the past was re-allocated to a man. But who will complain about the man-vanishing lie that is A Little Chaos? And then there’s the May issue of Professional Engineering, the house journal of the Institution of Mechanical Engineers. I have written previously about how this magazine bends over backwards to promote women in engineering. The latest piece is entitled, “A British woman played a key role in the building of one of India’s first railways“. What, a great Victorian female engineer who had previously escaped your attention? Err, no. The railway in question was the Bhore Ghat incline between Kalyan and Poona, a south-eastern route heading towards Madras. The railway was being built by the British company Great Indian Peninsula Railway (GIPR). Until his death in 1859, their chief consultant engineer was a chap you may have heard of, one Robert Stephenson. After his death, GIPR re-let the supervising contract to Solomon Tredwell. Unfortunately Solomon died of cholera just 15 days after arriving on site. His wife, Alice Tredwell, who had accompanied Solomon, was thus left in a pickle. I presume the couple’s future finances were rather dependent upon the contract which Solomon had been awarded. She therefore did the sensible thing. She formally took over the contract but immediately appointed two gentlemen employees of GIPR who had already been associated with the project to actually do the engineering (namely Swainson Adamson and George Louis Clowser). Alice Tredwell then returned home, never to visit India again as far as I am aware. Mrs Tredwell acted with great good sense. I have no problem with her at all. She was bright enough to hang onto the contract but get competent engineers, already at hand, to do the work. Full marks, Mrs Tredwell. But an engineer and a builder of railways she was not. These have been just a few examples from the last week of the blue-pill version of reality brought to you continuously, courtesy of the Ministry of Truth. This entry was posted in Uncategorised on 13th May 2015 by William Collins. What happened to the Rolf Harris Post? I’m told that there were a few inaccuracies in it to be ironed out. Our august host is VERY firm on getting facts correct. I do hope that’s the reason and not threats! This rewriting of history is of major concern. A century from now it will be self evident truth that women were responsible for every advance in civilization while being oppressed chattel slaves of men. Thank you for all the work you put into this blog. Look forward to having you back. For that to happen requires that the crazy, dysfunctional, and non-functioning, world women are creating, through their effete and effeminate male proxies, can not only survive but thrive. It can do neither. It is also necessary for men passively to accept current social, political and economic trends, which, increasingly, we are showing we are disinclined to do. Well yes, there was an implicit “if it carries on like this” in my comment. At the same time there is no guarantee that even if feminism collapses, the distortion of history they have already achieved will ever be corrected. It is quite possible that a century from now people will still believe that women were denied the vote and jobs just because they were women, and it was feminism that won them all these rights. Einstein’s Theory of Relativity was really made up by his wife, Ms. Kalman. This is proven because the Russian publication of the theory is by Einstein-Kalman. Oh, the injustice! Explanation: There was feminist push in the early 20th in Switzerland to abolish patriarchal names and use hypenated names. Einstein went along with that in his first marriage. Ms. Kalman lived for 30 years after the divorce and never claimed any credit. Somebody write a script! Pay Lena Dunham to write it! See if Kate Winslet is available! Einstein was a funny looking guy who liked to clown around. Find a comedian to play him. It won’t take much to portray him as a dummy who stole the idea. Good article. ‘Ministry of Truth’ indeed. Thanks for your hard work. It matters.